The famous 28ft high marble statue of Abraham Lincoln shows him sat in quiet contemplation inside The Mall's Lincoln Memorial. This is another of Washington's most photographed attractions requiring a little creativity to capture something different. 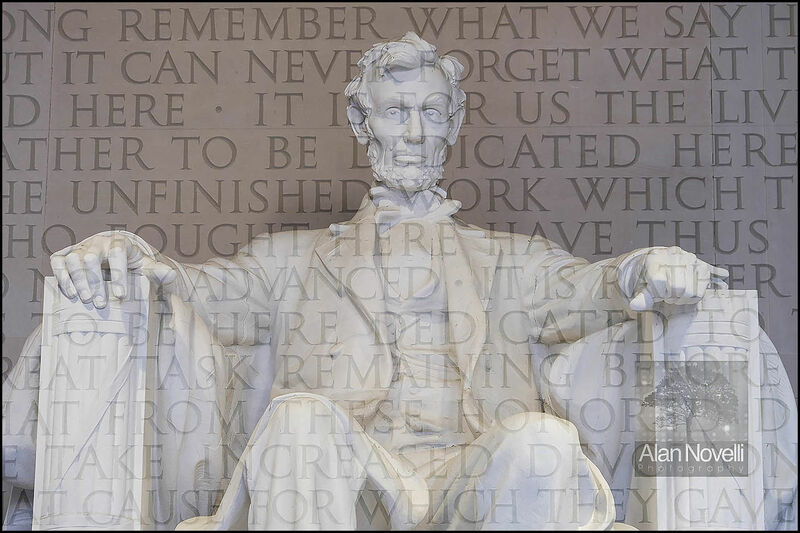 Here I have double exposed the image overlaying the statue with words from his Gettysburg Address which are carved on the interior walls of the building.